This year’s theme is Bad Science. 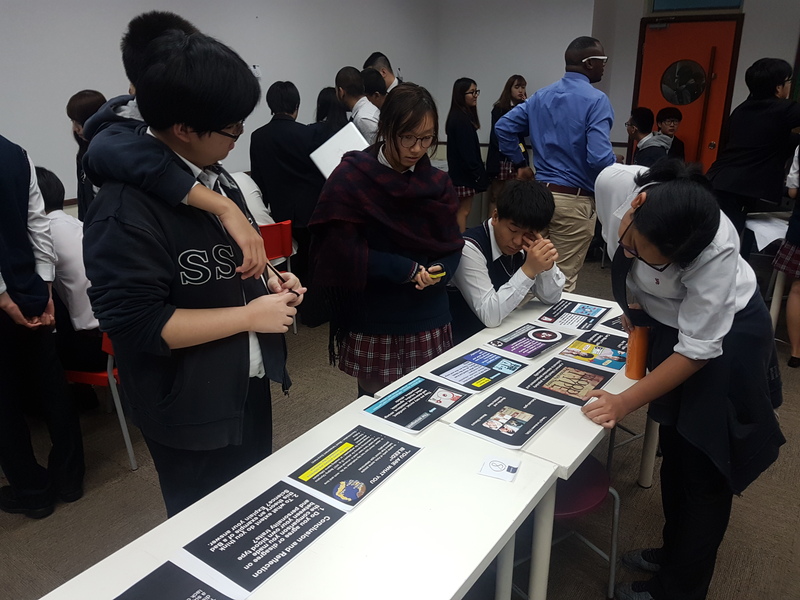 To introduce this theme to the students the science department set up a number of stations highlighting everyday examples of Bad Science. Students moved station to station considering how each one was example of bad science and why many people believe it. The stations explored homeopathy, autism and vaccines, blood groups and personality, bad science in the media, climate change denial, everyday radiation levels, the science of successful names and the science behind food and health. The students were engaged and asked a number of thoughtful questions. They are well prepared to choose their own bad science topic and investigate it in detail. They will have 10 hours to work collaboratively on their topic and present their findngs to rest of grade 11. This implementation and presentation part of the group 4 project is scheduled for 15th and 16th June. To model the use of dichotomous keys to identify closely related organisms in Biology; lhe grade level students created a key to identify their shoes. 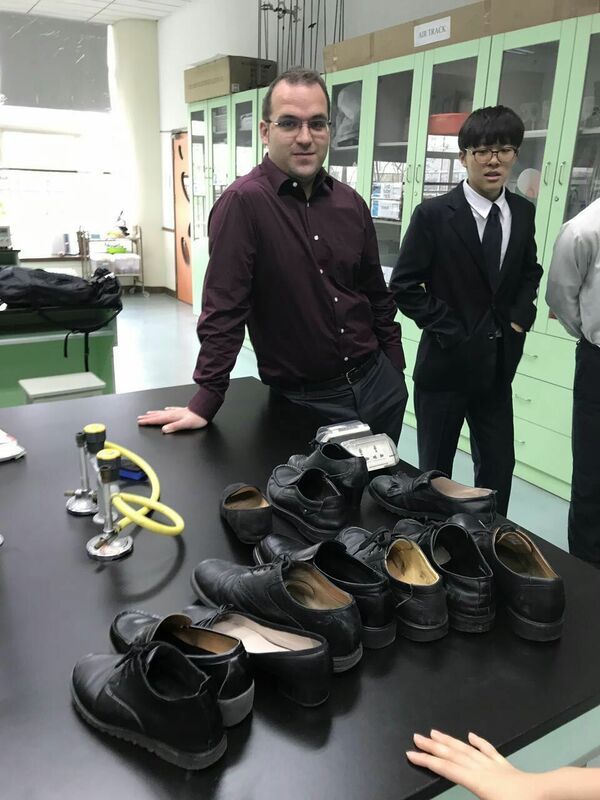 They focused on the clear physical characteristics which could be used to separate the pile of shoes. Once the key was complete everyone was happy to get their shoes back! The students then created a key to identify some closely related insect species. 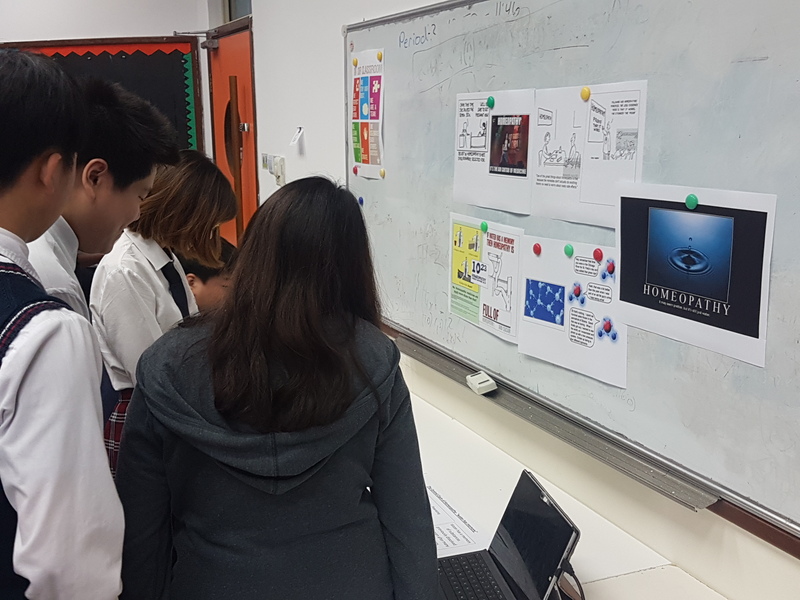 The grade 11 biologists followed up their research on the evidence for evolution by modelling Darwins theory of natural selection. They used different shaped tweezers, spatulas and test tube tongs to act as different beaks. 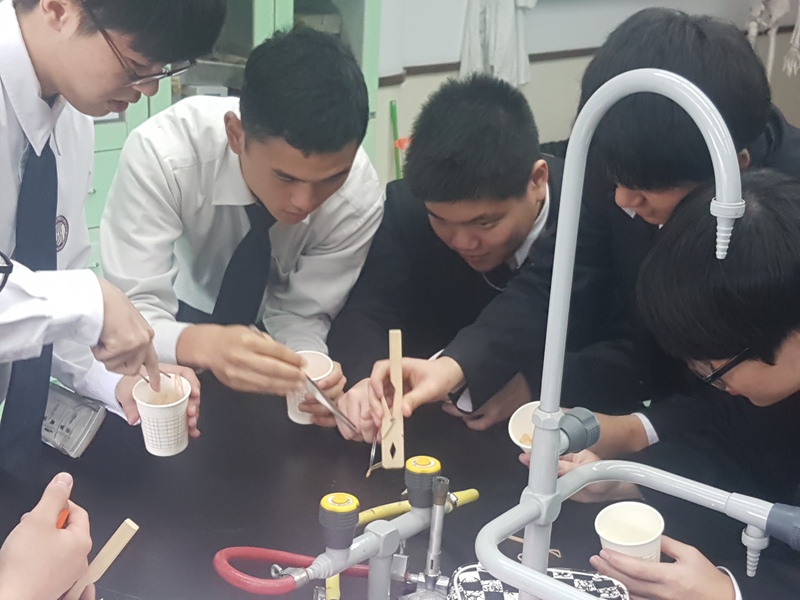 They then competed for different food sources like rubber bands, paperclips, and rice grains the students understood the importance of variation in a population and how competition due to environmental selection pressure can lead to evolution. 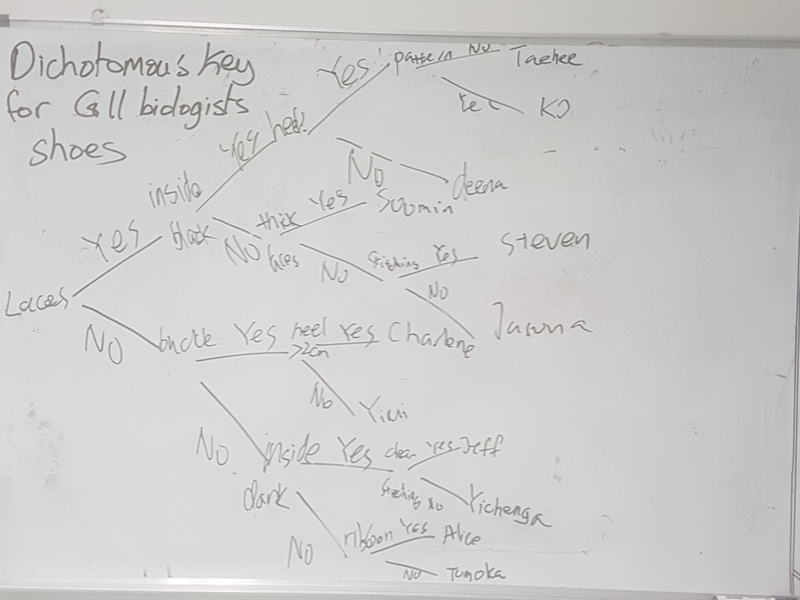 This week in grade 11 biology we started to study topic 5: Evolution. We discussed the differences between facts and theories bringing in some thoughts from the Theory of knowledge coutse. We understood that theories are based on a vast amount of evidence and are our best scientific explanation for the real world phenomena we experience everyday. 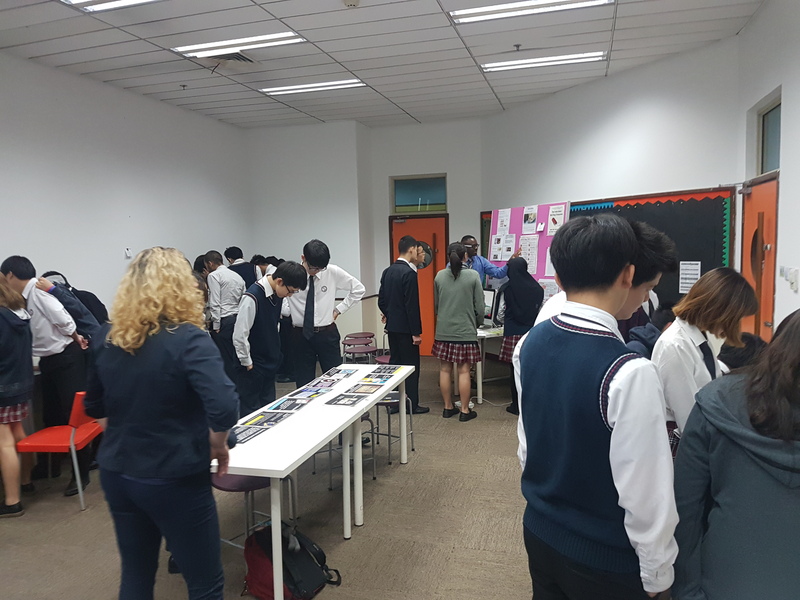 The students then researched the evidence from anatomy (homologous structures), paleontology (fossils), molecular biology (similarities between proteins and the universality of the genetic code), embryology and many other fields of biology. 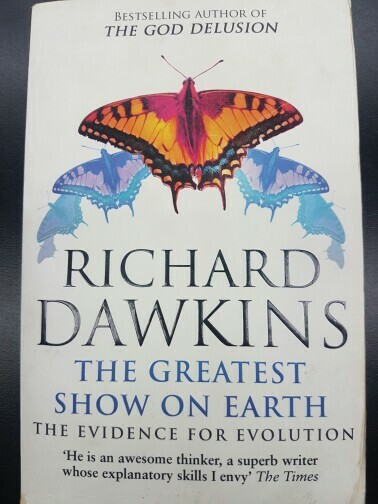 This topics recommended reading for students that want to learn more about the comprehensive evidence for evolution is Richard Dawkin’s The Greatest Show on Earth. How does energy flow through food chains? 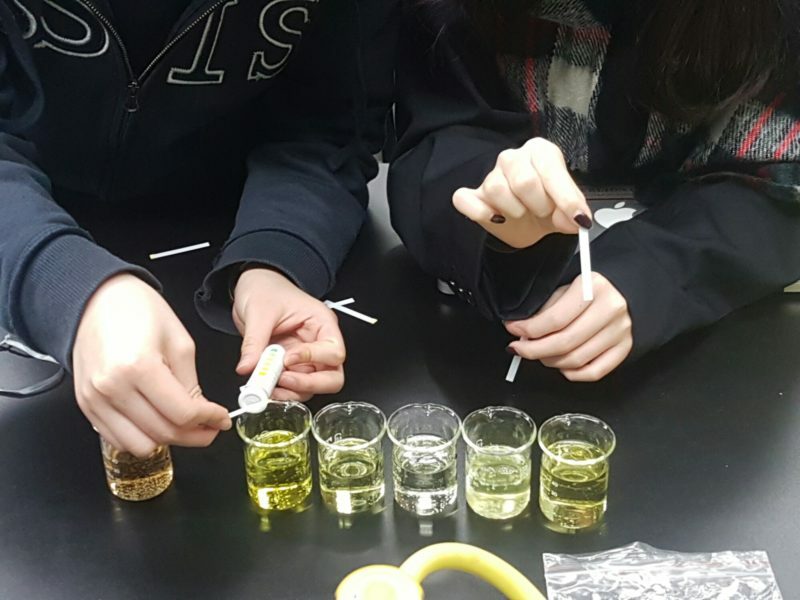 The grade 9 biologists have started studying the final grade 9 biology topic on ecosystems and human influences. 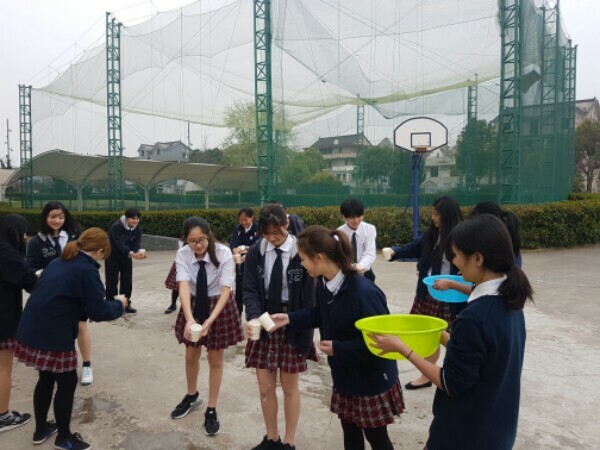 To model the flow of energy through food chains we roleplayed the transfer of water (energy) from a large bowl (the sun) to a number of cups with holes in them (trophic levels) to find out how much water (energy) passed to the end of the chain. We then evaluated how the roleplay was similar to. energy loss (loss of water) through food chains and how it could be improved (including the role of decomposers). 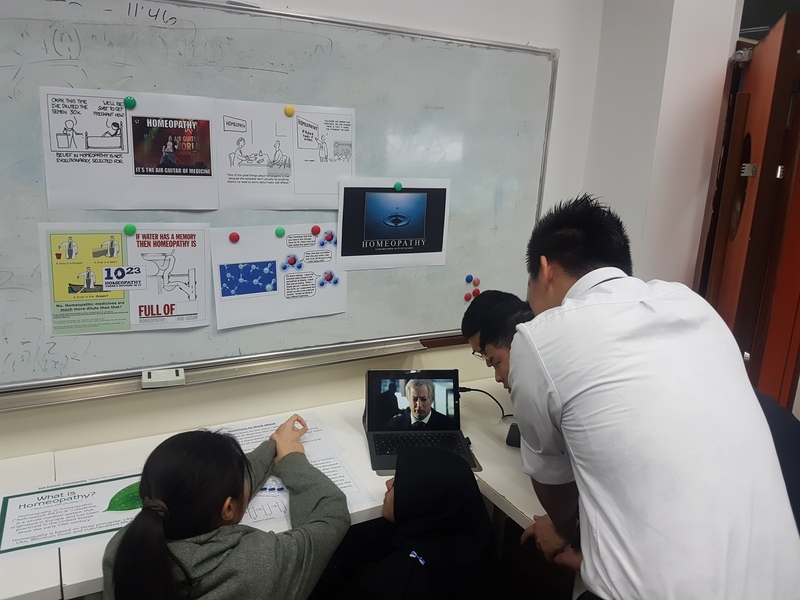 The students left the lesson with a better understanding of the fundamental concept of how not all energy is passed on to the next trophic level and hence why there is a limit to the maximum number of trophic levels in a food chain. 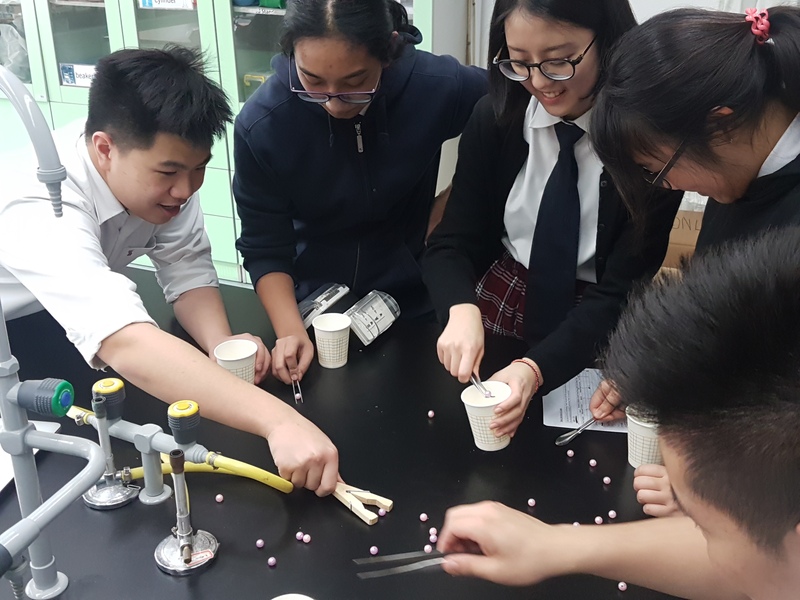 The grade 11 HL students have been studying the role of the kidney in osmoregulation. In this lesson we discussed the role of antidiretic hormone (ADH) in fine tuning the final volume and concentration of the urine. We also looked at a number of urine samples and tried to match them to potential diseases ( diabetes, kidney damage) and states of hydration. The Grade 6 students visited the Senior School last week to prepare for the transition to grade 7 next year. They all had a sample science lesson where they investigated flame tests, reaction time and candy chromatography. They all enjoyed the experience and are eager to learn more. The grade 11 students are working on their next internal assessment. In the first lesson, they measured their ventilation (breathing) rate before and after exercise. 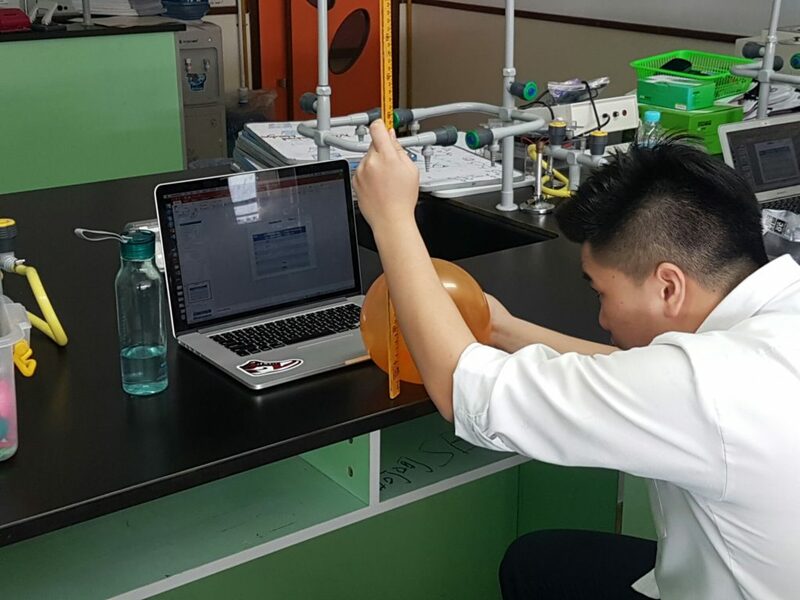 In the second lesson, we demoed the use of a spirometer and then blew into balloons and calculated the volume to determine their vital capacity. They will calculate the correlation coefficient of the two factors to determine whether these is a relationship and its strength. This investigation also offers many opportunities to discuss limitations and improvements of the method. 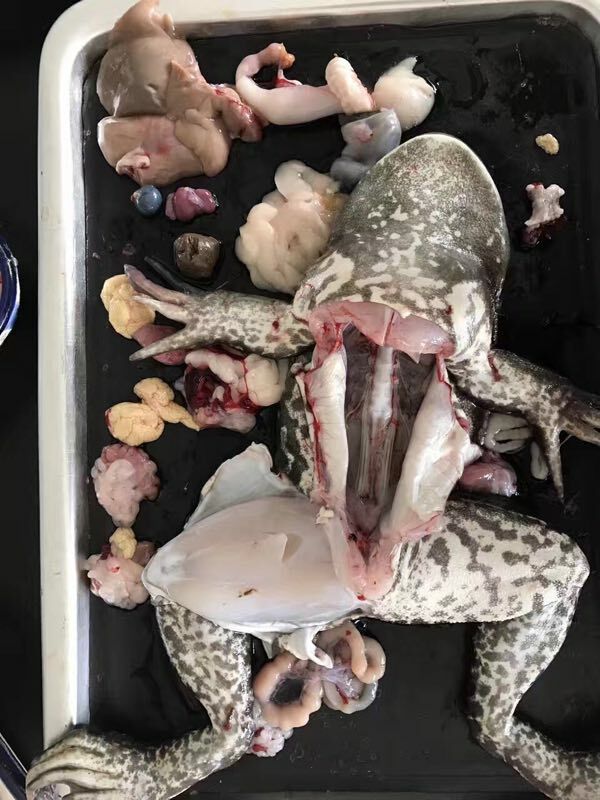 The grade 9 biologists have been studying the digestive system and this week they dissected frogs to bring this topic to life. 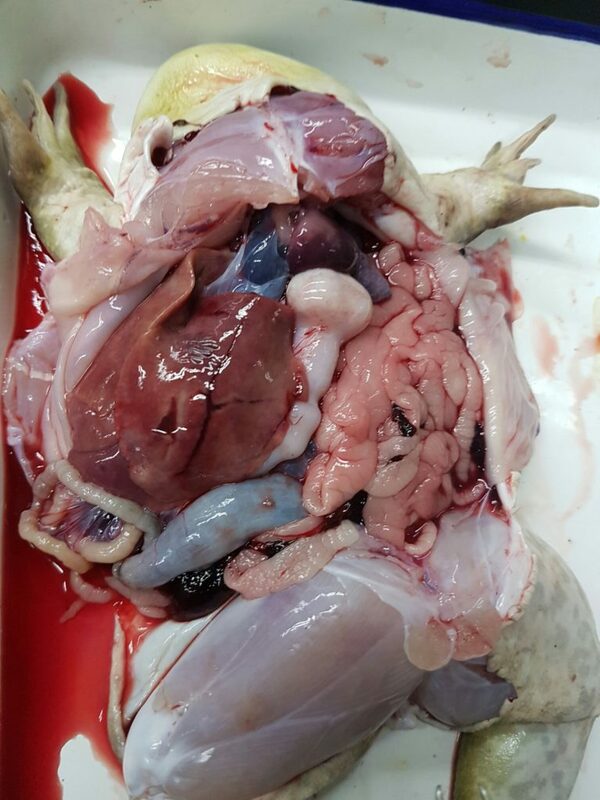 The students carefully exposed the frog organs and identified the organs involved in digestion as well as the heart, and lungs. They then cut open the stomach and large intestine to see food at different stages in the digestive process and experienced some smells to help them remember it! 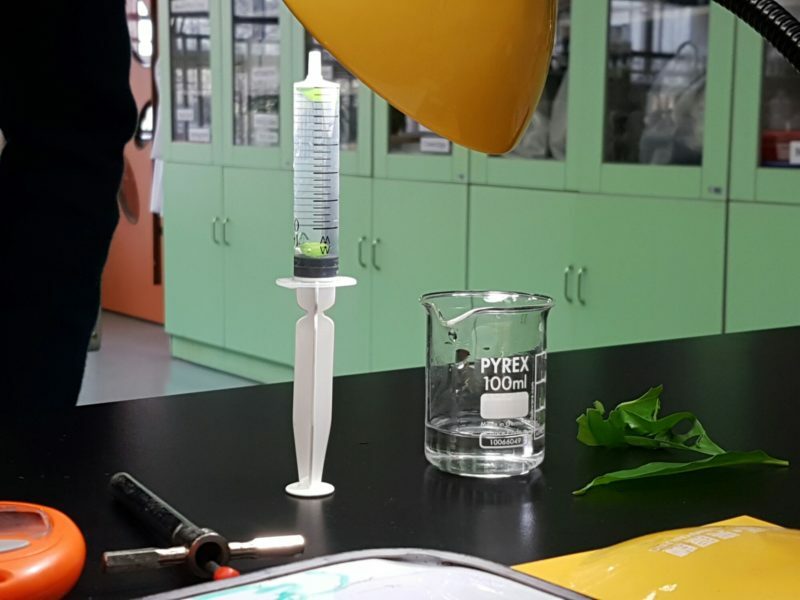 In IBDP Biology the students have to be able to plan experiments that measure the rate of photosynthesis.The students cut leaf discs from a plant and transferred them to a syringe filled with water. Once all the air was removed the leaf discs sunk to the bottom of the syringe. As the leaf discs carried out photosynthesis, they produced oxygen that moves into the air spsces surrounding the spongy mesophyll. The leaf discs will then rise as oxygen is produced. By measuring how long it takes for the leaf discs to rise; the rate of photosynthesis can be measured.